Trending at $28.93eBay determines this price through a machine learned model of the product's sale prices within the last 90 days. Binder Book With Removable Pages. Photo Safe Pages. Perfect shower or new mom gift. 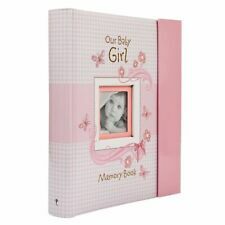 Very sweet photo album with pink grosgrain ribbon. All fabric. New in box with a small bit of glue dried to front corner. Please see last photograph. Holds 36 photographs up to 4 x 6. 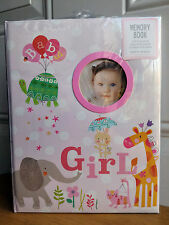 Hallmark Zoo Cute Girl 8x8 Instant Scrapbook Baby Memory Book. Condition is New. Shipped with USPS Media Mail. 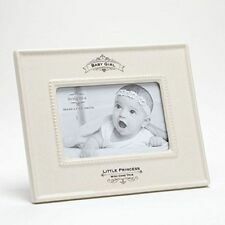 Super cute vintage Hallmark baby girl "instant scrapbook" includes stickers and 20 designer pages that make it easy to add your own pictures and notes to create an adorable memory book. Comes with original box, which has a minor crease; please see pics. Please ask any questions if needed, as I cannot accept returns. Thanks! Holds 200 - 4 x 6 photos with acid free pages. 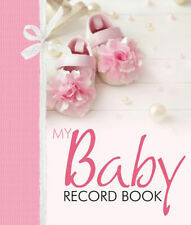 The cover includes a ribbon accent and an opening for your baby's 3" x 3" photo. Cherish every laugh, crawl, walk, and more. We are a family of designers, marketers, and trendsetters bringing products to life that will bring a smile to your face. Baby Brag Book. "This book belongs to:" Page included in the front of each brag book. Many different styles to choose from: girl, boy or unisex. health & beauty. Acetate sleeves hold 4" x 6" photographs. Author: Cecile Lamb. Title:Baby's Own Story Year by Year. Colors can appear different depending on your device (computer, tablet, phone, etc), its settings, and lighting. 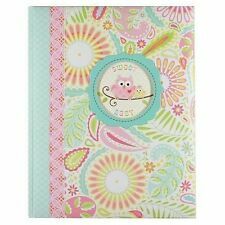 Pink Daisy Baby Record Book. by Lil' Peach. baby's photos page. my baby shower (2 pages). the story of mommy and daddy. grow baby grow. sleep baby sleep. eat baby eat. The 12 belly stickers capture each month of your baby's first year with the help of fun and fearless Cinderella, Belle, Ariel, Rapunzel and Jasmine. Designed for baby girls 0-12 months, the colorful belly stickers are easy to peel and stick to her outfit. Condition is New. No picture holders are included and must be supplied individually. My baby shower. grow baby grow! sleep baby sleep! eat baby eat! my family tree. This Book does not have an Ink Pad! these are a few of my favorite things. my first photoshoot. By CR Gibson. Produced by CR Gibson, 2017. Gender Reveal Party (page to include guests, date and location of party, how we made the big reveal). The Story Of Your Birth. Birth Certificate. Look At You, My Sweet Baby - My Sweet Baby (page to include photos of ultrasound). Only ever been stored brand new please look at my other listings as I have a boy memory book posted in a separate listing I will do my best to combine shipping if interested. The grids are blank to fill in the month and dates. Baby's First Year Calendar with Stickers to Mark Milestones! Pearhead First 5 Years Chevron Baby Memory Book with Clean-Touch Safe Ink... . Condition is New. Shipped with Standard Shipping. Pink Grandma's Brag Book holding 24 4x6 photos. Trending at $16.77eBay determines this price through a machine learned model of the product's sale prices within the last 90 days. 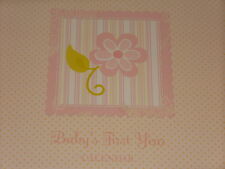 BABY PICTURE ALBUM AND PICTURE FRAME FOR LITTLE GIRL...GREAT SHOWER GIFT!! GREAT GIFT FOR A BABY SHOWER! Vintage A Tale Of Baby’s Days From 1976 This is unused but page is loose from binding *see photo Comes from a clean, smoke and pet free home! 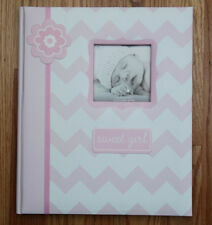 baby girl photo album. Condition is New. Shipped with USPS Priority Mail. New without tags/plastic/box. Fast priority shipping! Cudlie photo album holds 40 4x6 photos. New item box is a little dented but album perfect condition. The colors are unisex, for both boy or girl. 12 high-quality and beautiful milestone stickers included. Just peel the pre-cut stickers from the adhesive paper and stick it to your baby's clothes. A great accessory for your baby's photography! It holds 100 4x6 photos. Handmade and made with loving care, a perfect UNIQUE gift for anyone. I would be happy to make them special just for you!